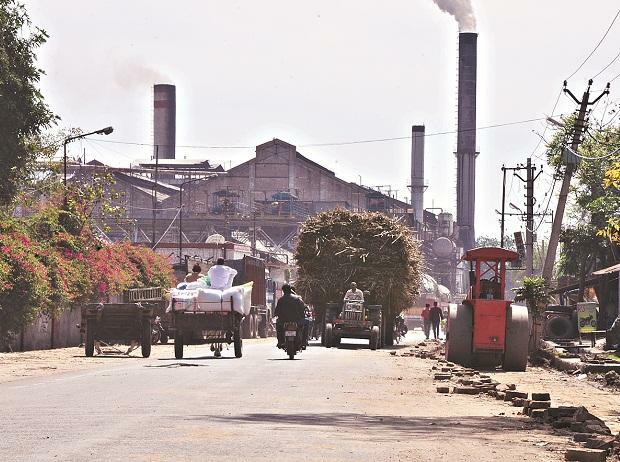 The Centre Thursday announced an additional soft loan of Rs 12,900 crore for sugar mills to create ethanol capacity under a recently launched scheme. In addition, the government said a separate soft loan of Rs 2,600 crore will be provided to molasses-based standalone distilleries to augment capacity and set up new units. A decision in this regard was taken at the Cabinet Committee on Economic Affairs (CCEA) meeting, chaired by Prime Minister Narendra Modi. A soft loan is a loan that is given at a subsidised interest rate. In June 2018, the government had announced a soft loan of Rs 4,400 crore and provided an interest subvention of Rs 1,332 crore to mills over a period of five years, including a moratorium period of one year to augment ethanol output. So far, the food ministry has approved 114 applications for a loan amount of Rs 6,000 crore although applications received were for over Rs 13,400 crore worth of soft loans. "To augment ethanol capacity, the government has approved additional funds. These additional funds will be in two categories -- Rs 2,790 crore and Rs 565 crore," Finance Minister Arun Jaitley told reporters after the Cabinet meeting. The additional funds are part of the government's measure to address the stress in the sugar sector, he said adding, "They (mills) have some stress and outsanding dues. The government is trying to augment the income of mills." Asked if this additional soft loan will help bring down the mounting cane arrears, Jaitley said it would not have any immediate impact but will have in the long term. Sugarcane dues have crossed Rs 20,000 crore till February of this marketing year (October-September). Elaborating, the government in a statement said an additional Rs 2,790 crore would be provided as interest subvention for a loan amount of Rs 12,900 crore to sugar mills for augmenting the ethanol production. Besides, Rs 565 crore will be given as interest subvention for a loan amount of Rs 2,600 crore to molasses-based distilleries to increase capacity through installation of incineration boilers and other methods in the existing distilleries for ethanol production as well as for setting of new standalone distilleries, it added. The food ministry would frame a separate scheme for the molasses-based standalone distilleries. Both the interest subvention will be payable at six per cent per annum or 50 per cent of commercial rate of interest charged by banks, whichever is lower, according to the scheme approved by the CCEA in June 2018. The government said the additional soft loan would improve liquidity of mills, reduce sugar inventory and facilitate timely clearance of cane price dues of farmers. Ethanol extracted from sugarcane will be used for blending in petrol and will provide cane farmers a remunerative price for their crop. Ethanol doping in petrol will also help the country cut its oil imports. India, the world's second-biggest producer, is likely to produce 30.7 million tonnes of sugar in the current marketing year (October-September), compared with 32.5 MT during 2017-18, according to industry body ISMA's forecast.